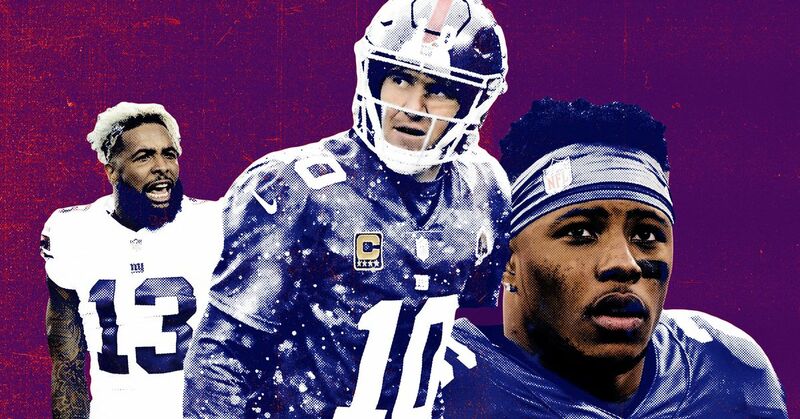 Saquon Barkley is off to a scalding start with the New York Giants, but Eli Manning's decline has critics wondering if the team should have drafted a quarterback like Sam Darnold second overall. "That's something that is going to go on throughout the rest of my career now no matter what. No matter how much success I have or if I do bad. People have their opinions. To each his own. At the end of the day, people that believe the Giants should have drafted a quarterback over me, I'm not trying to prove anything to them." Barkley was clear he only cares about making a strong impression on those inside the team's headquarters as he seeks to become a foundational piece of the Giants' future. "I'm trying to prove to Coach [Pat] Shurmur, to my teammates, to the Giants organization that they made the right pick, that they got a guy who is going to come in and work every single day, who is going lead and compete, who is passionate about the game. Those are four things about myself that even coming into the draft process I said whoever drafts me is going to get. I'm going to make sure they get no matter what." The Giants have stumbled to a 1-5 start, but it hasn't been due to any failures on Barkley's end. He has been a game-breaker through the first month-and-a-half, totaling 811 yards and six touchdowns. Saquon Barkley is on pace for 2,163 yards from scrimmage, giving him a chance to break Eric Dickerson's single-season rookie record that was set in 1983 (2,212 yards from scrimmage). However, the numbers have been overshadowed by Manning's checkdown-heavy approach and an inability to sustain long drives and hit his stable of talented pass-catchers. Manning will be on thin ice as he seeks to correct those woes Monday night against the Atlanta Falcons. Do the Giants Have a Plan?